Registration will be open to any folks who identify as women looking to improve their bike handling skills and overall ability out in the woods! A team of top notch professional coaches will take you through a thorough mountain bike skills progression, based on your current skillset and goals. In the morning, your coach will start with fundamental skills and then progress you all the way to advanced level skills, so that you walk away with a thorough understanding of what you are capable of on the bike. In the afternoon, you'll head out to the trails in order to dial in technique in "real life conditions." Participants should also bring snacks, water, bike, helmet, tools, etc. Lori Hauswirth is a passionate advocate for trails. A native "yooper", Lori's roots are in the Upper Peninsula of Michigan and can't remember a time that trails weren't part of everyday life. Lori is a Level 2 IMBA ICP coach, has been organizing the sold-out Copper Harbor Ladies Weekend for the last five years and directed the Liv Ladies Clinic at the 2016 IMBA World Summit. Over the years she has been a mountain bike racer, an alpine ski racer and coach, avid trail volunteer, and has served as a race director for over 20 years. 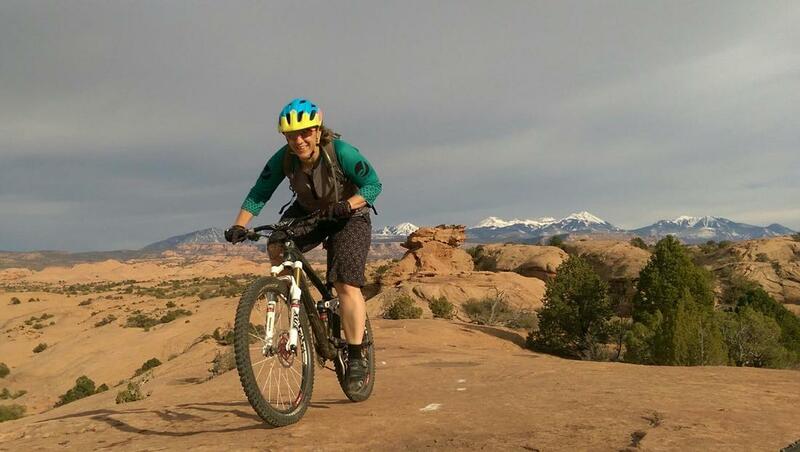 Lori covets rocky, technical rides, adventuring with her furry kids, Meeko and Ryder, and can be found exploring mountain bike trails from Utah to Florida during the off-season. Lianna Miller is a recovered cross country and enduro racer (okay, some days still recovering) who now enjoys helping riders gain the confidence and skills to ride the way they dream they could. She got started coaching back in 2006 with the USA Cycling Junior National Selection camps in Colorado Springs, and now calls the promised land of Michigan’s UP home. She holds her PMBI Level 1 certification, coaching both ladies’ and coed camps. In her regular life she is an engineer, and in the off-season, you can find her volunteering with the Ski Patrol or attempting to nordic ski.